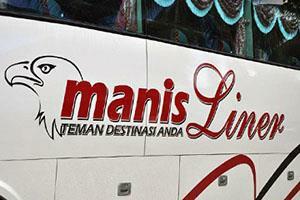 Manis Liner Express is a famous bus operator serving route between Kota Kinabalu and Semporna, which the latter is gateway to reputable Sipadan Island, Mabul Island etc. They have 2 daily departures from Kota Kinabalu Terminal Inanam to Semporna, at 07.30 am and 07.30 pm respectively. The trick is to take the overnight bus departing 07.30pm from Kota Kinabalu to Semporna with the estimated arrival time of the evening bus is next morning around 04.30am – 06.00am depending on traffic condition. The advantage of taking the overnight bus is that travelers could save the precious day time spending on the road and arrive just on time for next morning boat to the islands’ resorts. The only drawback is that some travelers may not sleep through the night in the bus. Kindly take warm cloth, blanket and neck pillow for the comfortable of your night journey. Coaches stop at the resting area in the midnight for passengers to have toilet break, food & drink. 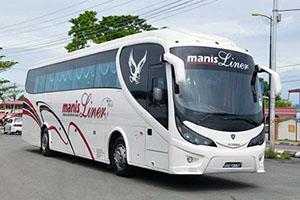 By joining BusOnlineTicket.com, Manis Liner Express can now offer the online booking service for bus from Kota Kinabalu to Semporna to the tourists and locals. Jln Tuaran, 88400 Kota Kinabalu.